PASSERS-BY might simply see another stage in a construction site at a new, growing housing estate. But the pouring of a concrete slab at Flame Tree Pocket in Sippy Downs was much more that. It was a significant milestone towards the completion of The House The Coast Built - a major fundraiser for charity Wishlist. 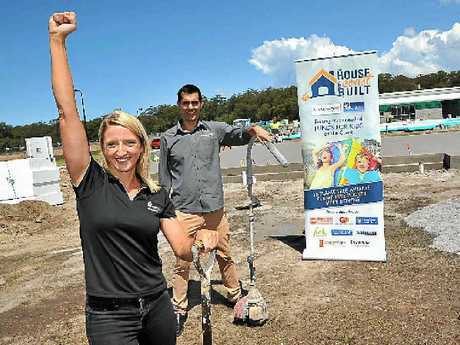 At least 60 local suppliers and contractors have lobbied together to help transform a patch of grass into a home that will be sold to raise much-needed funds for the Sunshine Coast charity. Ausmar Homes construction manager Sean Fraser is leading the project. But his involvement is more than bricks and mortar and managing the construction site. He too has spent more than his fair share of time beside a hospital bed of a sick child. 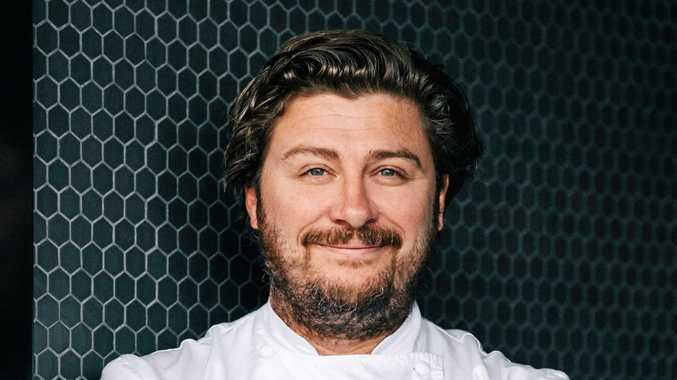 "My wife and I have seven-year-old twin girls and both of them have had to spend time at the children's ward at Nambour," Mr Fraser said. "I have had firsthand experience of the facilities there and each time I was so impressed with the level of support and expertise from the staff. "So on both a personal level and a professional level it means a lot to be a part of this project." Ausmar Homes led the construction of Wishlist House in 2011/2012 and signed on again for this year's construction as the major supporting business. Mr Fraser said the pouring of the slab signalled a major milestone in the build. "We're quite literally pouring everything into this - this is not just a house we're building. We're building a better future for kids in need across the Sunshine Coast," Mr Fraser said. Wishlist CEO Lisa Rowe says despite the significant success of the past two house builds and auctions in 2003 and 2011, she was still amazed by the level of generosity and community support provided to the vision. "This is a monumental style of fundraising and we couldn't do it without the backing of so many conscientious local business people," Ms Rowe said. "The pouring of the slab is just one of many significant milestones to come and we hope everyone gets behind the build because it truly is, The House The Coast Built." The home will be fully furnished and auctioned early next year. All proceeds will be directed towards pediatric needs across the Sunshine Coast Hospital and Health Service.